Hot Diamonds are synonymous with design and functionality, and this Sterling Silver Paradise Drop Earrings DE253 is no different. Manufactured to a high standard as you would expect from a global designer brand like Hot Diamonds, the Hot Diamonds pair of earrings line is fashionable, hard wearing and exceptional value for money. 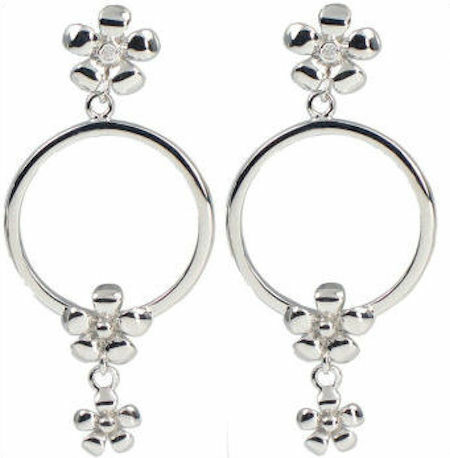 These stylish yet simple Hot Diamonds Sterling Silver Paradise drop earrings DE253 are from the Paradise range by Hot Diamonds. Each one measures approximately 45mm in length. 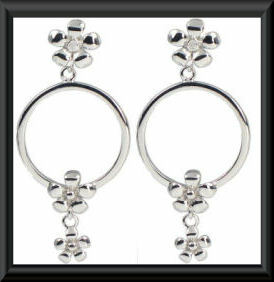 The daisy flower stud has a single center diamond followed by a circle with 2 more daisies dangling and is suitable for pierced ears. All products come supplied in original, official Hot Diamonds packaging. Shipping and handling is $10, within the 48 continental United States. An additional fee of $15.00 will apply for delivery to Hawaii, Alaska, Puerto Rico and Canada. We will be unable to accommodate deliveries to any other international destinations.